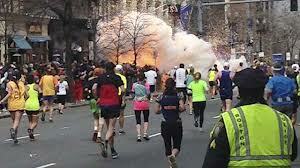 BOSTON BOMBING ANOTHER FALSE FLAG EVENT? look, and they are catching the lies. page created two days before. likely too preoccupied with that, and allowed something else to happen. America, were called out on 'drills' the day of 9/11. clear and level head. This is no longer the case. 'protected' by their government. Nothing could be further from the truth. hastily planned, as though it was put together more at the last minute. its worst 2 day rout in over 30 years. Historically, when the markets go down, gold will go up and vice versa. has something to do banking ponzi schemes tied to illegal derivatives. dismantling the old system, so that it would not cause chaos and panic. against criminal bankers and institutions. European Union. The mainstream media is not reporting this however. illegal fractional reserve model of banking. from whatever else it is that is being covered up. Perhaps we'll find out soon enough. dark side of 'The Force'. knowing the truth will be empowering enough! is up. The world is 'on' to them. Something VERY GOOD is happening in human and planetary consciousness! It may just take a bit of time before it becomes clearly obvious to all.